Discussion in 'Navy' started by Jeff Head, Mar 8, 2018. For the last 14 years I have produced an annual review of the buildup and modernization of the Chinese Navy, the People's Liberation Army Navy, or "PLAN" as it is called. At the time these reviews started, the PLAN was just embarking on producing more modern vessels, and had acquired a carrier, the old Soviet Varyag, which was the second in their Kuznetsov class, but which was sitting unfinished in Ukraine due to the fall of the Soviet Union. The Chinese indicated at the time that they were buying it through a private company to make it into a casino, but any investigation of that company made it clear that it was a company for the PLAN and that the vessel was being bought by the PLAN. Some felt it was for study. I felt it was for refitting into an operational carrier...which they did. In the last fourteen years we have now seen the PLAN go from a largely antiquated coastal defense force using mostly updated 1950s technology vessels, to a powerful, modern Navy using vessels surface vessels that compare in in function and technology to our own, and they have built so many of them that they are now clearly the second largest and most powerful Navy in the world, second only to the US Navy. But the PLAN is principally concentrated in th Western Pacific, and therefore has become equal in power and combat capabilities (except for a couple of critical areas which this report will examine) to our own Pacific based fleets. While it is true that with the Japanese, Korean, Australian and other allies in the Pacific, the overall advantage still lies with the western allies, the Chinese show no signs of slowing down their buildup and seem intent on reaching a point where their own fleet matches the combined capabilities of all of those fleets. As far as the Varyag carrier is concerned, they commissioned the new carrier CV-16, Liaoning in 2012, and have been exercising her with a full load of SU-27 aircraft, which are modernized and upgraded, indigenous built versions of the Russian SU-33 aircraft...but which are better, and being built in larger numbers. Why? To equip more carriers. They launched their second carrier, the indigenous built CV-17 this last year and are building more. This report will examine, as it has in the past, the principal surface warfare capabilities as well as the submarine capabilities of the PLAN, and their aviation assets. 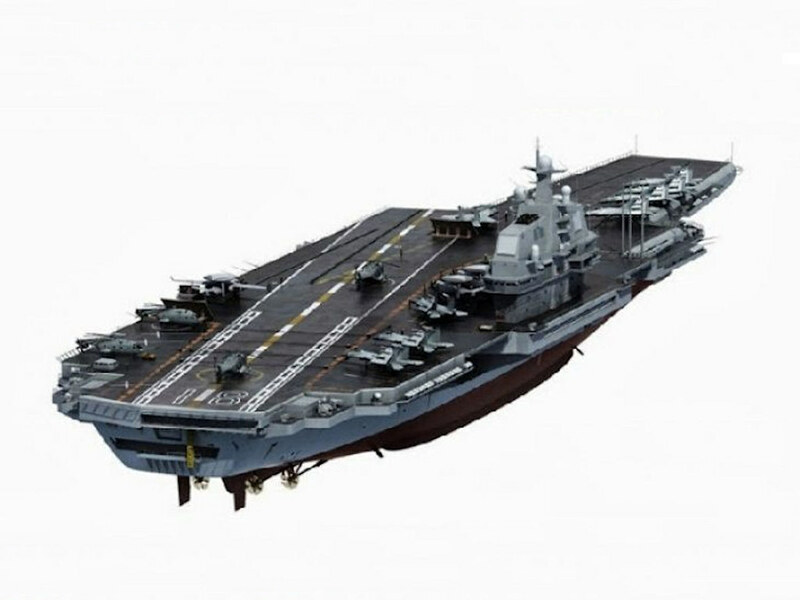 From this writer's perspective, and as a result of conversing with many others and listening to the chatter that is available on the internet, it is clear that the Chinese have a goal of developing at least a six carrier fleet. To begin with this fleet will consist of the carriers they are building incrementally to ultimately attain their goal of having larger, nuclear powered carriers similar to our own. They are doing this in a three step process, the first of which has now almost reached completion with the building of two STOBAR (Short take off, barrier arrested recovery) which means they take off from a ski jump like the new UK Queen Elizabeth carriers but land with a cable recovery system backed up by a barrier, like our own. CV-16 STOBAR, Liaoning launched tested, commissioned, and fully operation. Displacing about 65,000 tons and cabable of carrying 24 strike fighters. CV-17 STOBAR, Launched, ready to start trials, which is an improved version of the first carrier at about 70,000 tons displacement and capable of carrying about 28 strike fighters. Ali Qizilbash, flyzies, bd popeye and 12 others like this. You can see the heat and smoke coming from the engine of the 2nd carrier in the last two pictures. These were taken late in 2017 at Dalian and speak to preparation for its first sea trials being almost prepared. We expect to see her put to sea sometime in the late winter or early spring (Perhaps March-April) of 2018. CV-20 CATOBAR, Nuclear powered design complete, with EMALS catapults and nuclear power, about 90,000 ton displacement and capabl of 50-60 aircraft. Probably a 2026 launc time frame. CV-21 COATOBAR, Nuclear powered, awaiting scheduling slot, , with EMALS catapults and nuclear power, about 90,000 ton displacement and capabl of 50-60 aircraft. Probably a 2028 launc time frame. They will be building these new classes simultaneously, starting the new ones before the earlier class is complete. The PLAN is now sufficently confident in their ship building capability to do this, and they have an aggressive goal and effort to have these six carriers operational by the 2030 time frame. After that point, they will most likely maintain the six carrier force going forward, utlimately having all six be nuclear powered CATOBAR carriers. Ali Qizilbash, flyzies, bd popeye and 10 others like this. They are exercising their 1st carrier extensively (as already stated). One of the major trips she took this last year was a voyage with her full strike group all around the South and East China Seas. The Chinese operated 30+ older 1950 technology era destroyers at the start of the 2000 turnover, but had already embarked on modernixing and building up. They started by buying first two, and then another two Russian Sovremenny destroyers, then building two of their own more modern vessels which mimicked that capability of the Sovremmeny, but with twice the anti-surface capability. These were their Type 052B destoyers, which followed the ealry 2000s building of their first two truly more modern destroyers the Type 052 destroyers. They then built their first two AEGIS like destroyers, the Type 052C destroyers and put them through several years of testing. At that time they simultaneously began building a stronger design, the Type 052D, while building four more of the Type 052C destroyers. Ealier, in an effort to forestall any significant problems with the Type 052C design, they simultaneously built two Type 051C destroyers which had similar capabilities but with older propuslion and using Russian era mechanical radars as opposed to the Phased array radars of the Type 052C and Type 052D. They did this to provide themselves with an alternated design if they needed it. As it turned out, the Type 052C and then the Type 052D worked out very well for them and they have nbow taken that path. Ali Qizilbash, bd popeye, Daniel707 and 11 others like this. In the mean time, they have not stopped progressing. They have now developed an even larger destroyer which has stronger capabilities and task force command capabilities similar to our Ticonderoga class...but using the newer technology of their Type 052D vessels. These displace 12,000 tons, have 112 VLS cells, and have a larger hanger capable of carryin two large ASW helicopters. To date they have built sixteen of the Type 052D and are still building more, and they are building the even larger Type 055 destroyers four at a time. The first of those was launched in the fall of 2017, and the next three will be launched and in trials this year in 2018, to be followed by four more. They will probably build 16 or more of those larger, 12,000 ton vessels. 29 modern DDGs now at sea and operational, 28 more scheduled and building, for a total of 57 modern destroyers by the 2025 tome frame. At that point the PLAN may (and I emphasize may) begin to maintain that force structure. But they may also keep adding to it. The Chinese have also build a very significant, modern Frigate capability. Their new frigates are far more powerful than the Oliver Hazard Perry frigates the US decommissioned...and significantly more powerful than the new US Navy Littoral Combat Class, which will be addressed later, but which have come out of the builders with embarassingly light armament capabilities and as built are threatened by the much smaller light frigates/corvettes the Chinese have built for coastal defense capabilities. The US has recognized this and is uparming the LCS vessels adequately, and embarking on building 24-28 or more new Fast Frigates to go along with the 24-28 LCS vessels instead of the 56 LCS vessels originally contemplated. Early in the 2000s the Chinese built two Type 054 frigates which were much more modern than their older, 1950s upgraded frigates, but lacked any area anti-air coverage. They quickly addressed this issue and within 2-3 years began producing the Type 054A frigate which diplaces over 4,000 tons, carrier 8 surface to surface long range missiles, has a 32 cell VLS capability for anti-air coverage, and carry and house in a hangar a medium sized anti-submarine helicopter. Since introducing the first of these in the 2006 time frame, they have launched 30 such vessels and are still building them, with an improved version about to be introduced. Ali Qizilbash, flyzies, bd popeye and 11 others like this. At the same time, in the 2010 time frame they began building a lighter frigate or corvette for their own littoral combat needs. This is the Type 056 vessel, which diplaces about 1,800 tons, carriers a 76mm gun, four long range surface to surface missiles, a RAM type launcher for close in anti-air with eleven missiles, and has a helo deck to support, but not house, a medium anti-submarine warfare helicopter. In the last seven years, they have built forty of these vessels and are continuing to build them at a high rate. So, right now, the Chinese are rapidly building four classes of modern surface warfare vessels, the Type 052D and Type 055 destoyers and the Type 054A and Type 056 frigates. As can be seen, the Type 056 are very proficient light frigates, or Litoral Combat Ships for the Chinese. In a few short years, basically since 2012, as stated, they have built and launched over 40 of them. They are being seen in numbers all over China. Type 054A improved with VLS and much stronger sensors and weapons - 30 built and operational, Type 054C now designed and building. This means they now have 72 modern frigtaes for littoral to blue water mutli-mission frigates vessels. They are building 12-16 more FFGs and 30+ more littoral ships and will have a tota of 128 Frigates vessels by 2025. They also still have 15 or 16 of the latest older stle frgiates that they continue to maintain and use closer to the mainland, which can house a helo and work in concert with the Type 056 corvettes/light frigates. In the early 2000s, the Chinese began replacing their older missile boats with a new, very fast catamaran vessel called the Type 022 missile boat. Over a space of five to six years they built 75 of these vessels and have maintianed them. They displace less than 1,000 tons, but each one carries eight long range, very capable anti-surface missiles and a 30mm CIWS gun. They would be used in any attack on Taiwan, for coastal defenses, or,notably in the South China Sea, to defend Chinese islands and their mainland. Between their destroyers and their larger blue water frigates, the Chinese are going to have a force of over 100 FFGs and DDGs (not including up to 80 of the smaller Type 056 vessels and 75 missile boats) by 2025. This will be more than what the US Navy allocates to the Pacific by a significant number, and closing in on the total number of the US, Japan, Australia, and Korea combined. It is this authors feeling, having watched their buildup, and combining that with the unprcedented reclamation efforts that have made in the South China Sea to build mutually supportive largte island bases there, that the Chinese intend to be able to challenge the US and its allies in the Pacific in terms of surface warfare power by the 2025 time frame, and in terms of total power projetion including carriers in the mid 2030s. In the late 1990s and then continuing to the present time, the Chinese navy began building larger and more modern LST type vessels. They reached their optimium Type 072 III and then Type 072A vessel in the mid 2000s and have now built up a force of 30 or so of these vessels diplacing 4,000-5,000 tons. But they were not satisfied, They saw the San Antonio class LPDs the US was building and clearly liked what they represented. So they began building a Type 071 LPD, diplacing 20,000+ tons in the mid 2000s. They built two and exercised with them significantly. They then began building more. bd popeye, badoc, Duran and 6 others like this. In 2017 they completed and launched the final two of a total of six of these large vessels. Each of which can carry either numerous Amphibious assault tanks and combat craft, or four large LCACs similar to our own LCAC. They had problems with the power plants and other issues with the LCACs up until late 2016 but seem to have overcome them now and are now building those in greater numbers. To that time they had built only 2-3 of them, but in 2017 they built 4-6 more, and just commissioned four more early in January of 2018. They seem to have solved their issues whatever they were, and have now begun exercising with more and more vessels...they seem now prepared to outfit the six LPDs they have with their own LCACs, four to a ship when needed. In addition, there has been a lot of chatter about the PLAN wanting and LHD type vessel similar to our Wasp or America class. Indications are that between now and 2020 they may start building two of those vessels as well. It is this authors belief that the PLAN wants to develop their own Amphibious Ready Groups are Marine Expeditionary Units. If they do, it seems they they intend to have three such forces which would be made up of two LPDs, four or more LSTs, and one or more of their new LHDs should for each group should they build them...and I believe they will. flyzies, bd popeye, Equation and 8 others like this. The Chinese commissioned their first large, fast repleneshment vessel, the Type 901 which they completed last year. They have launched a second and are building a third. They may build four or more. These are large, fast, full supply vessels which can keep up with their carrier groups and supply them with all their needs, similar to the US class of Supply AOE vessels. They displace 50,000 or more tons. In addition, they have built two smaller class AOR type vessels for both fuel and dry supplies. Two classes of those where they have built 6-9 of each and will probably build more. The Chinese understand what is needed to support their task forces at sea, far from home, and are building up to support those forces as they defend the Chinese SLOCs around the world. 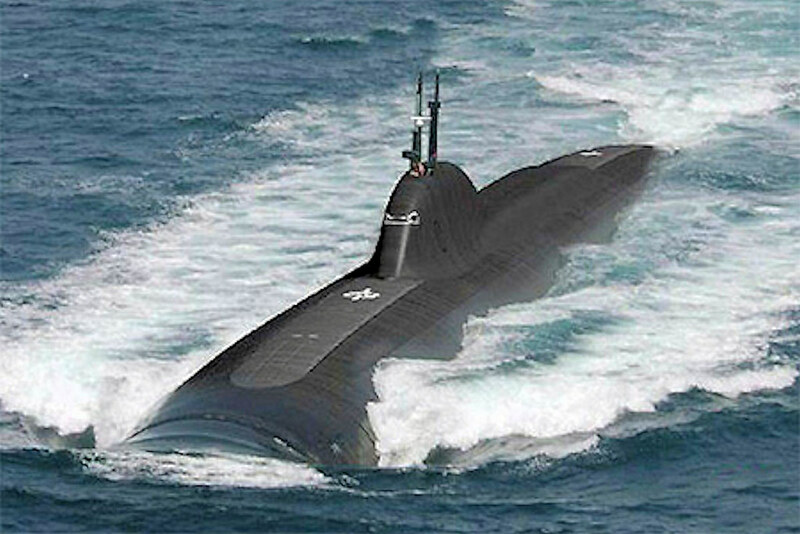 The Chinese built five attack submarines and one ballistic missile submarine back in the 1980s an 1990s (Atually the first SSN was built in the 1970s). They were very loud and were never really made waht th US would consider fully operational. Beginining in the 2000s, they started to develop the Type 093 anuclear attack submarine. Over the next ten years they have painstakingly developed, then improved this design. Ultimately they built a totql of six of these boats and have commissioned them. Initialy they were still far too loud and limited. But the two later designs began addressing these issues. They now have all six available and commissioned. The Chinese then began developing the Type 095 SSN and it is rumored that they have launched at least one of these, perhaps two, and that they are testing them now. If they meet the PLANs expectations, they will build many more of them. They know they are weak and very much behind the US and other western powers (like the UK and France) in this area, technically, qualitatively and in numbers. The Type 095 will most probably achieve the US Los Angeles class capabilities, perhaps even the improved version of those vessels, in terms of quiteness qnd capabilities overall. Their images of them would certainly make on think so. But, despite appearances and that depiction, they are still two generations behind current US and UK capabilities. But in numbers they could still be dangerous. As it is right now, they have six operational SSNs, all of which are less capable than the US Navy LA Class boats. However, the Chinese have tried to compensate for this lacking by building many more modern conventinal submariens and they have had more success there. In that area they started off by buying a total of 12 Kilo class submarines from Riussia. They then built their own Song class submarines, and ultimately designed an improved class, the Yuan class. This class has been upgraded with stealth features and an AIP capability. They have 14-16 of those boats, 12-14 Songs, and 12 kilos. All of these 40+ conventional subs can be dangerous in litttoral waters or at any chokle point, like narrow straights. Their intent would to use them to try and build a defensive ring around major operations they undertook in the vicinity of the mainland, or in the south China Sea and try and employ a screen to keep US SSNs out. But, as they continue to focus on blue water capabilities and developing their own SLOCs (Sea lanes of Communication) as their trade and energy needs require, they will continue to have to foucs on nuclear desgns as well until they get it right. bd popeye, Equation, badoc and 5 others like this. The Chinese showed off what is supposedly an electromagnetic rail gun on one of their older LST vessels in 2017. There is a mainland test site, but we have not seen the types of tesing that the US has openly done and displayed for years. The appearance of this apparatus on the vessel may or may not be a working unit...but given its appearance, and given what would appear to be a lack of electrical production, the likelihood of this approaching they type of achiemevements the US has already made are very slim. Time will tell should this unit make for sea and actually perform any testing. In the mean time the US was ready to begin testing their more advanced technology at sea in 2016 and then 2017, but the Obama administration never made good on it and the US is still waiting to test one at sea as they have done repeatedly on land successfully. The Chineses have developed the J-15, an improved version of the Russian SU-33 that they are exercising regularly off of their first carrier. They have done more exercises in the four years that that carrier has been commissioned than the Russians have done in 20 years with their Kuznetsov. They are using tactics similar to US Navy power projection and operational considerations. The J-15 has been upgraded with an arresting hook, and the newest batch has a strengthened undercarrage and front landing gear, clearly showing their intent to use them on CATOBAR carriers which will soon be being produced. Their second batch of 24 aircraft is in production. They seem inclined right now to continue this aircraft's development, including a two seat versions for attack and Electronic Warfare which have been seen testing. At some point they will build some form of 5th generation carrier aircraft, but that has not happened yet. Nevertheless, the J-15 should be considered, like their Air Force and Naval J-11B, as a very strong 4+ generation aircraft. They carry a significant war load of sophisticated air to air missiles, or precision guided air to surface weaonry. At the hands of a well trained pilot, they would be dangerous adversaries and shoud be respected as such...and now the Chinese continue to develop more and more capabilities to project them around the world. It is anticipated they they will not allow too much time to pass before they recognize the need to develop, build, and put a 5th geeration fighter to sea. The US started this in 2017 with the first official embarkation of the F-35B on the USS Wasp in late 2017 which will be based in Japan. It is the same fighters that the Japanese could embark on their Izumo class vessels, and the Koreans on their Dokdo class vessels. They are suited for the Australian Canberaa class LHDs as well, and the Australians retained the ski-jump on those vessels. Equation, Duran, j17wang and 4 others like this. The Chinese continue to produce new build H-6K bombers. These are modernized...very much modernized...Tu-16 Badger bombers that the Chinese originally purchased from the Soviets and then license built their own. These aircraft fit into the PRC's desire and intent to continue to push their area of operational capability and threat further and further out beyond the second island chain. And they are doing so. Again, these aircraft and what they represent should not be underestimated...any more than other nations underestimate the B-52s and their capabilities to carry even more air launched cruise missiles of all types from hundreds and hundreds of miles away from their targets. The Chinese are developing a KJ-500 and KJ-600 AEW aircraft for their carriers. The aircraft is not in production yet, but it seems clear that they are timing production for the time in the early 2020s when they produce their first CATOBAR carriers. These aircraft are similiar in appearance to the US E-2C Hawkeye and will probably have similar capabilities. The PLAN's ability to develop, and particularly to figure out and then desing technology similar to US technology should not be underestimated. They will become only the second nation, behind the US to develop them...and only the 3rd nation (behind France who use the US E-2C themselvess) to use them. Such an aircraft is a significant power projector and enhancement to any aircraft carrier's capabilities. An AEW aircraft on a Chinese CATOBAR carrier with a large number of J-15 aircraft would be a potentially very capable and dangerous foe. Other nations in the western pacific recognize this and are taking measures to try and help counter it. As stated, the Koreans have already expressed interest in the F-35B for thie Dokdo LHA vessels, and the Japanese have similar interest for their Izumo and later flat top vessels. Although the F-35Bs have some AEW capability, the Koreans and Japanese and others would need a stronger AEW capability as well...and for VTOL carriers, while helicopter AEW capabilities (like what the UK is using for their QE class carriers with the Merlin AEW helo) are far better than no AEW capability, what is really needed is something like and AEW version of the V-22 Ospey. Suffice it to say that the Chinese intend to have a capability similar to the US Hawkeye capability which is the strongest capability on the planet, and they are well on their way to having it. As the following table summarizes, for the first time, over the last two years, the PLAN has surpassed the US Navy in terms of total numbers of active major surface combatants in several areas and in overall numbers. This is a significant achievement but should not be taken wrong. Most of this has been due to the large disparity in terms of total numbers built in the last few years. The numbers under the 170 number of vessels built in the last fifteen years are much older and less capable vessels. The Chinese really have 170 such vessels t compare to the US number. At the same time, it is clear thet the Chinese have built up their naval shipbuilding industry to continue this trend and will, in the next five to ten years, replace all of the older technology vessels with these new, modern, and very capable vessels. There can be little doubt that this is their intent. Thornblade, bd popeye, Equation and 6 others like this.